If you are serious about pain relief, relaxation, and personalized service for a healthier you, you’ve come to the right place.. Medical-based Massage Therapy at Chamberlain Chiropractic & Wellness offers multiple therapies so you get the individual care you need. We approach every Medical-based Massage patient according to their individual needs using multiple Massage Therapy techniques. Massage therapy at Chamberlain Chiropractic will help improve range-of-motion, relieve pain, and reduce stress. Our Massage Therapy treatments have helped countless patients improve how they feel, their ability to work again, their ability to live life again! Depending on your health condition, our massage therapist will work hand-in-hand with our doctors to provide the most effective results for YOU based on your specific health diagnoses and the doctors’ recommendations. 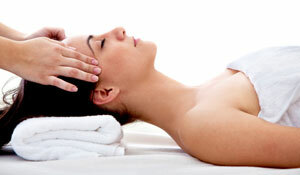 One of the wonderful benefits of Massage Therapy with us is our individual approach to your unique needs as a person. Not only will your body feel better, your mind and spirit will be lifted as well. Contact us for more information, or to schedule an appointment. We listen completely to your needs to fully understand your health conditions and pain relief priorities. Unlike many other massages you may get – we listen, we care, and we do everything to make sure your comfort and health improvement are maximized. Massage has been found to improve circulation, joint range-of-motion and flexibility, and can enhance recovery from injury and illness. It can reduce many common ailments such as stress, muscle tightness, aches and pains – even anxiety and depression. It’s can also increase energy and alertness, and aid in more restful sleep at night. Corrective Therapeutic Massage is a mix of slow, deep strokes and penetrating finger pressure focused on tight, contracted areas which cause you pain and discomfort. It is designed to relieve severe tension in the muscle and the connective tissue or fascia. This type of massage focuses on the muscles located below the surface of the top muscles. It is often recommended for individuals who experience consistent neck pain, low back pain, are involved in heavy physical activity, are (or were) athletes, and patients who have sustained physical injury. Our certified and licensed massage therapists are highly skilled, and are highly sensitive and aware of reactions taking place in the body during your massage – making your comfort and sensitivity a priority, while following a specific plan to help your health improve short and long-term. Massage Therapy is one of the best forms of natural pain relief, health care, and are safe & effective – without the use of drugs or medicines! Soothing Pain Relief Laser Therapy now available!